We proudly present our range of cabinet types. All our cabinets can be tailored to your specific requirements. Specific materials, finishes, materials, controls and colours can be catered for – the only limitation is your imagination! Challenge us, we love big ideas! Following the success of our versatile AES-32 upright, we are pleased to offer an alternative cabinet shape in the AES-27. 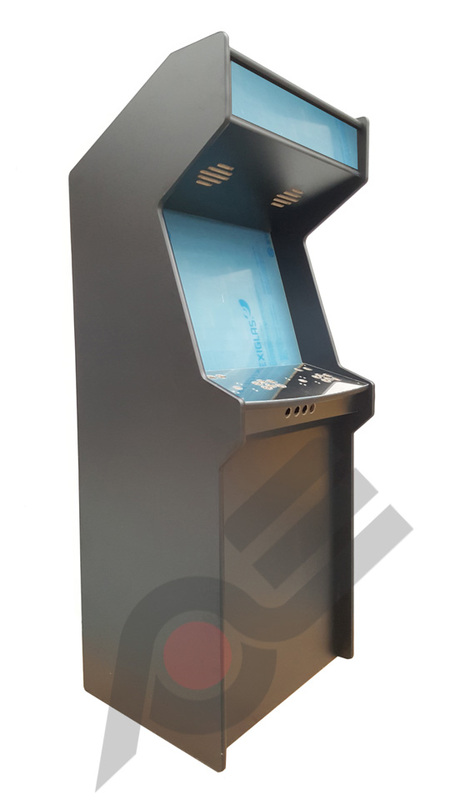 Boasting the same high specifications and upgrade paths as it’s sister machine, the AES-27 has been designed to be even more sympathetic to the classic arcade machine shape with softer lines and a more enclosed screen. Inspired by the larger cabinets of the classic arcade, this machine delivers an authentic retro game-play experience, combined with benefits of an advanced modern machine. 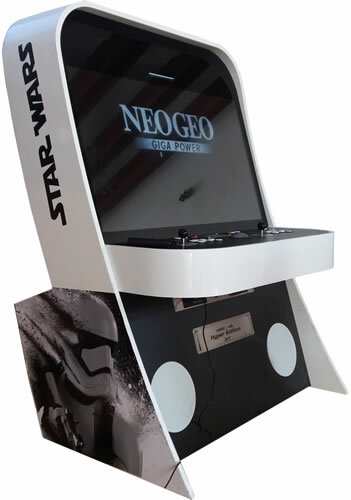 A respectful yet modern design, luxuriously large screen, upgraded sound system and wider control deck all combine to make an unrivaled gaming experience and the best upright gaming cabinet in the world. Designed by gamers for gamers! 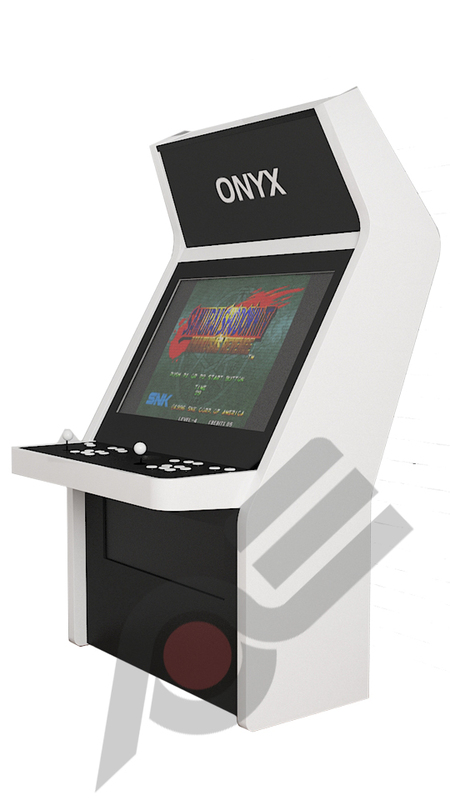 New for 2019 the ONYX arcade machine is a sit down candy cabinet arcade machines. 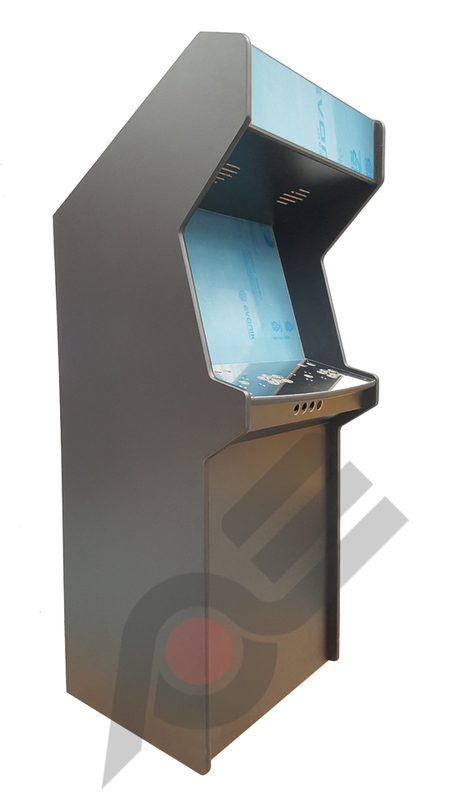 Every detail of the cabinet has been styled with modern elegance and inline with the 90s style Japanese candy cab! 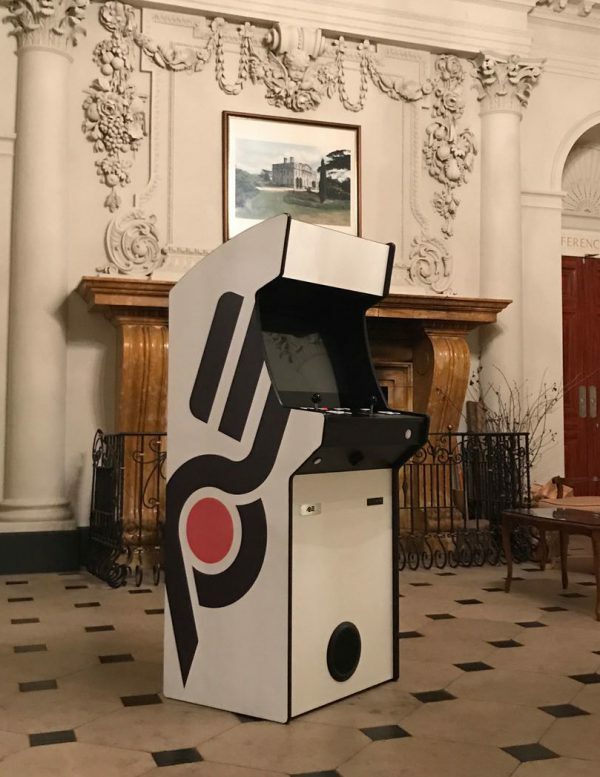 The system itself is ready set to play your consoles and our AE arcade system combined with the generously sized screen, creates a cinema like level of immersion without parallel – all in seated comfort! 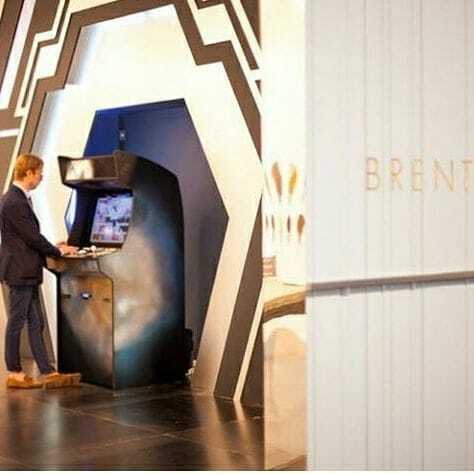 Designed to be the last word in gaming luxury, every detail of the cabinet has been styled with modern elegance.